Forming strong patient relationships is important for any type of medical provider. It is the relationship that keeps the patient coming back to the practice. It can also be what keeps the patient compliant with provider recommendations to improve health outcomes. Deep patient relationships are even more important in the practice of functional medicine, as providers look to connect environmental, lifestyle, and genetic factors to the root causes of patient conditions. We are not at all surprised that telehealth technology is rapidly gaining traction with functional medicine providers and their patients. We speak to people in this field regularly. Here are a few of the questions they ask us most often. 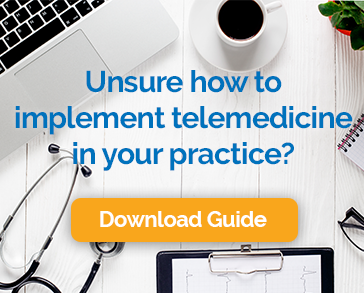 How does telemedicine software benefit functional medicine providers? Using secure, two-way video and audio communications for functional medicine visits increases the provider’s efficiency and reduces in-office overhead. This makes it possible for the practitioner to see more patients or spend more time on each visit. The ease-of-access for patients makes it more likely that they will keep the appointments that they schedule. It also makes it more likely that they will follow the provider’s instructions, improving health outcomes and protecting the reputation of the practice. What does the telehealth approach mean for patients? Most patients who choose functional medicine are profoundly committed to their health. However, they may face obstacles that make it difficult for them to commit the necessary time and resources to seeing their provider on a regular basis. The use of telehealth technology reduces the burden on patients by eliminating time away from work, childcare concerns, and travel time and costs. This is a good question and an important one. Not all video conferencing solutions are secure enough to protect patient confidentiality and comply with applicable state and federal regulations. It is important to select a solution, like the one provided by Chiron Health, that is designed to protect patient confidentiality and comply with HIPAA and other consumer protection laws. Skype, Facetime and other consumer grade video collaboration applications are generally not appropriate for clinical visits. Will insurance providers pay for telehealth visits? As you likely know, not all functional medicine visits are covered by insurance policies. This is true whether they are face-to-face or conducted remotely. Many states, however, have telehealth parity laws that require private payers to reimburse telemedicine visits as if they were conducted face-to-face. Laws vary from state to state, so you should become familiar with the laws in yours. Chiron Health is an expert in reimbursement and we help our customers understand what they can expect. Functional medicine is a new frontier in health care. It questions the traditional approach of acute treatment and seeks to look at individual patient conditions in a new, more holistic way. It makes sense that practitioners are looking to new technologies that take into account the way that people live and interact today. Telemedicine and functional medicine are a natural fit.